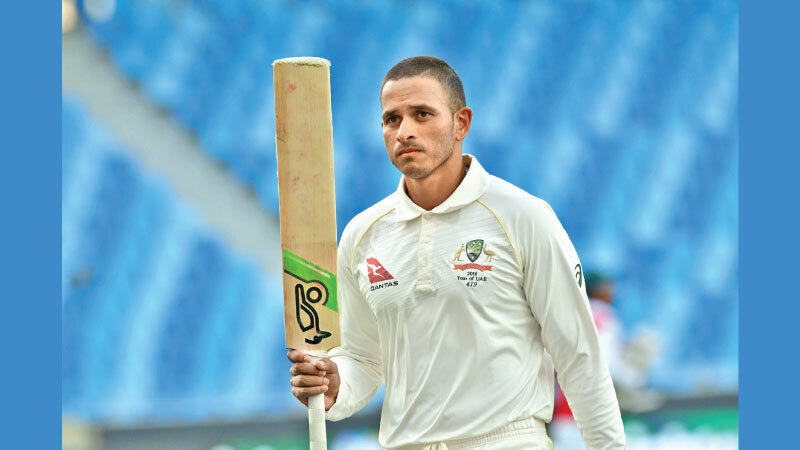 Dubai, Thursday: Opener Usman Khawaja hit a fighting hundred to foil Pakistan and help Australia escape with a draw in the first Test in Dubai on Thursday. His innings was the second longest in the fourth innings of a Test, behind England's Michael Atherton's 645 minute vigil in scoring 185 not out against South Africa in Johannesburg in 1995. 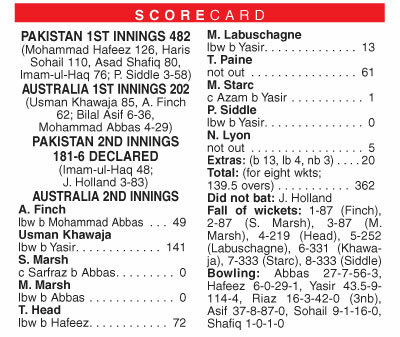 It was the highest fourth-innings score by any visiting batsman in Asia, beating New Zealand's Daniel Vettori's 140 made at Colombo against Sri Lanka nine years ago.